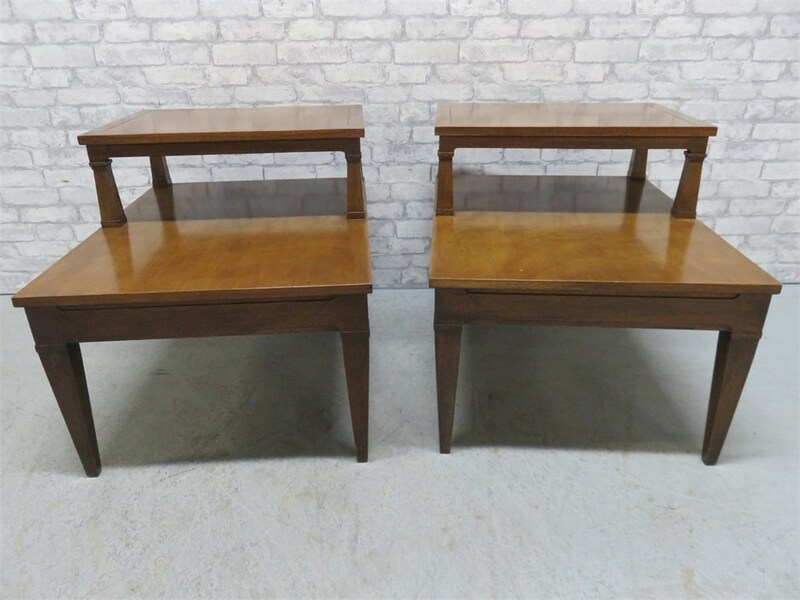 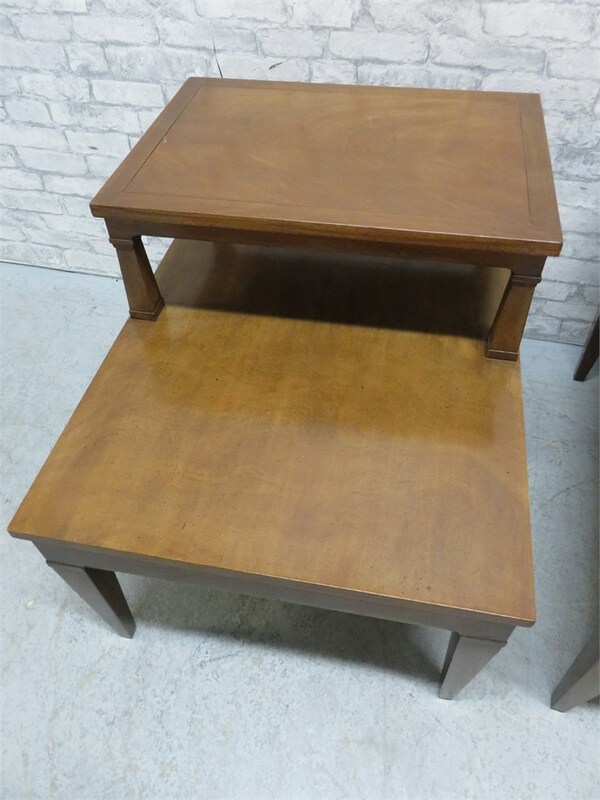 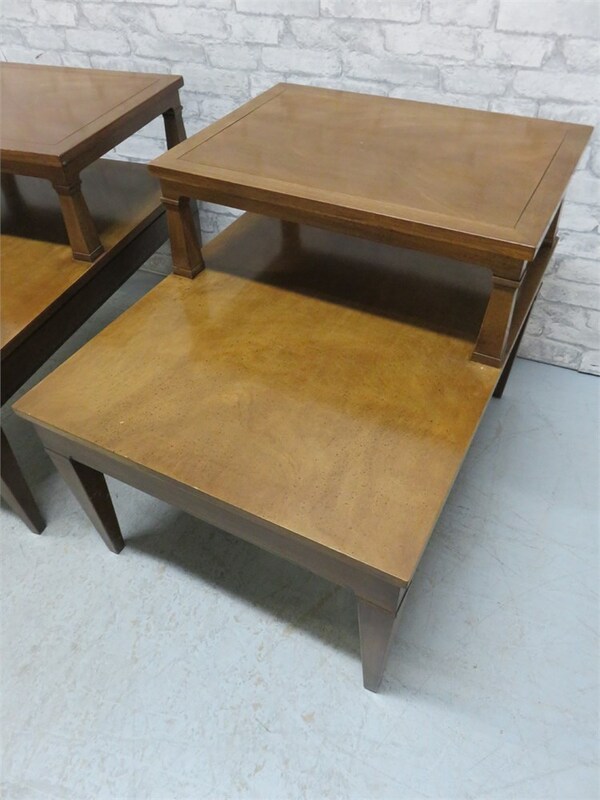 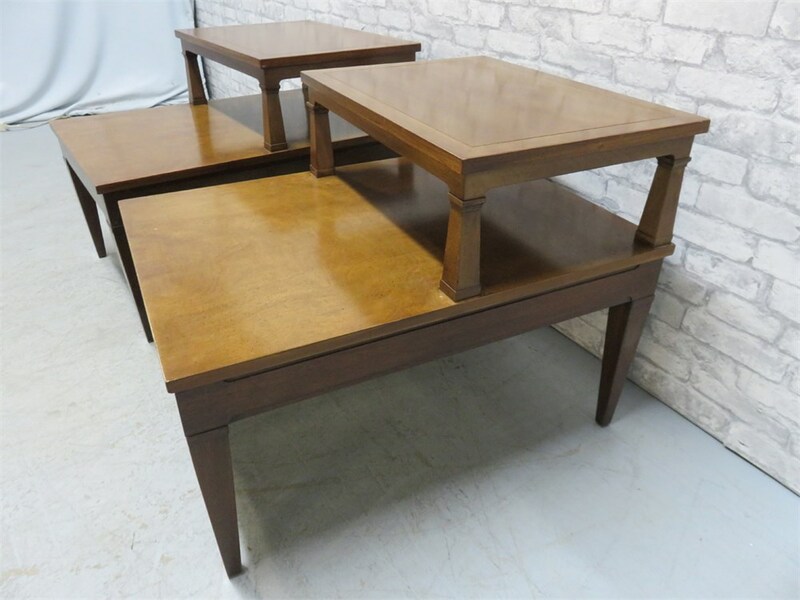 This vintage pair of end tables by Fine Arts Furniture Co. features stylish Mid-Century appeal with a beautiful walnut finish, and a unique two-tier design with tapered legs. 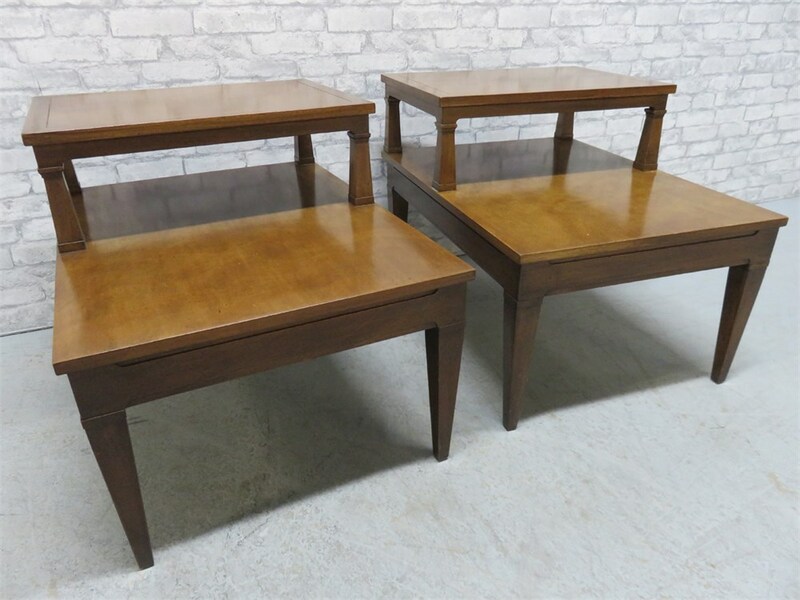 This handsome pair will work perfectly in any bedroom or living room. 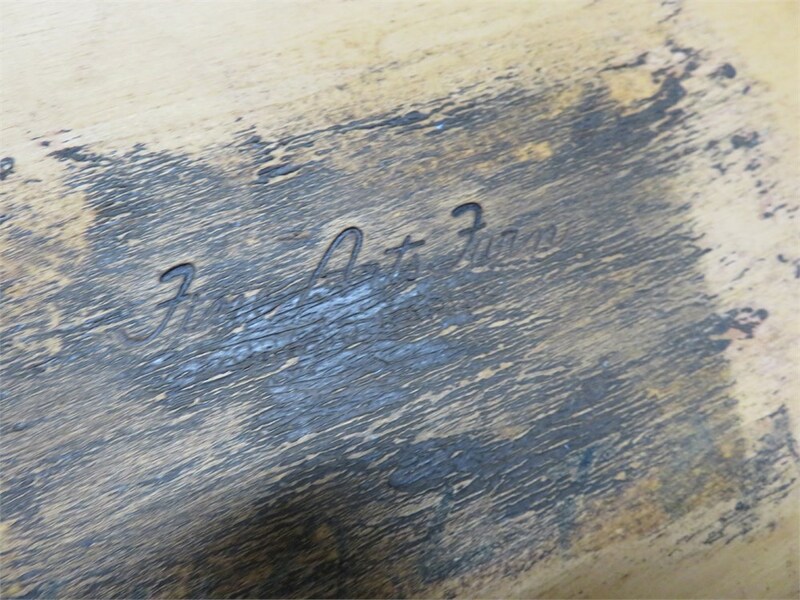 There are a few minor nicks and scratches from normal use.